As part of the Texas Bandmasters Association (TBA) and KHS America Academic Student Melody Competition, the winning theme was used as thematic material for a full wind ensemble piece. This year’s winning melody titled “Inevitable” was composed by Jose Angle Salinas, currently a sophomore at Glenda Dawson High School near Houston, and was premiered by the US Air Force Band of the West at the recent Texas Bandmasters Association Conference to a full house. KHS America provided accommodations for Jose’s family which included his father Jose Sr., mother Patricia, and sister Bianca along with his band director Nathan Coronado to be in attendance at the premiere and to be a part of the TBA Conference. KHS America, home of Jupiter Winds, Mapex Drums, and Majestic Percussion in the U.S. is proud to announce the extension and expansion of their partnership with River City Rhythm Drum & Bugle Corps and Indoor Drumline of Anoka, Minnesota. KHS America announces the release of the new Jupiter Sax Gig Strap JCM-SXNS01. This over-the-shoulders strap is constructed of leather and suede giving it the durability and comfort necessary for those long gigs or for players on the marching field. Multiple adjustment points allow the perfect fit every time. The convenient design also allows the player to put it on and remove with ease! Replacing Stamper as President of KHS America is industry veteran Jerry Goldenson. Goldenson has been with KHS America since August, 2016. We are providing the winning piece from our 2017 TBA Melody Competition, "Devil's Perspective" for FREE. This piece was premiered at the United States Air Force Band of the West during the 2017 Texas Bandmasters Annual Convention. KHS America is proud to welcome one of today’s top touring professional brass quintets, Presidio Brass, as the newest member of the KHS America Academic Alliance performing exclusively on XO Professional Brass Instruments. Congratulations to Quinton Porter, junior at Timber Creek High School in Fort Worth, TX, for being selected as the winner of the 2017 TBA Student Melody Competition. The 2017 Student Melody Competition received 89 entries submitted by 6th - 12th grade students from across the state of Texas. With the echoes of left hand rimshots still ringing in the University of Dayton Arena, and the images of artful pageantry fresh in our minds, Jupiter, Mapex and Majestic salute the ensembles who took part in the WGI Sport of the Arts 2017 World Championships. A back to school message from Peter Loel Boonshaft, Director of Education, Jupiter Band Instruments. 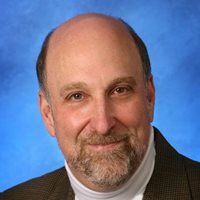 KHS America is pleased to announce the appointment of Jerry Goldenson as VP of Business Development. Jerry is an industry veteran with over thirty years of experience in a wide range of business roles and responsibilities inside and outside the musical instrument industry. He was an accomplished French horn player, a seasoned working drummer & percussionist since the age of twelve and holds a BA in business and an MBA in Business Economics from the University of Pittsburgh. There are so many Facebook pages out there, sometimes it's difficult to know which ones are worth Liking. Here's our top 5 for music educators, musicians, and parents of musicians. Need a FREE Performance Piece for Your Band? We are providing the winning piece from our 2015 Student Melody Competition "City of Joy" for FREE. This piece was premiered at the 2015 NAfME conference in Nashville, TN. Ah yes, the percussion section, ever so important to the whole sound of the ensemble and ever so responsible for sounds you rarely want to hear. Talking too much, horsing around, not watching the conductor, not playing in time, etc. These are unfortunately traits of the average student percussionist. Jupiter announces the release of the new, all-lacquered, JAS700 student alto and JTS700 student tenor saxophones. While retaining design elements intended to accommodate the playability and durability requirements of beginning band, these instruments feature the professional look of lacquered body and keys. The purpose of the John Philip Sousa Foundation National Young Artists Solo Competition is to identify, recognize, and honor outstanding high school musicians who demonstrate a significantly high standard of excellence in performance. The winner of the 2015 National Student Melody Competition is 17 year old Joseph Ham from Ruston, LA for his composition "The City of Joy." Fusion Drum & Bugle “Core” of Morris County, New Jersey are proud to announce their newest election to perform exclusively on Jupiter Quantum Series Marching Brass beginning with the 2015 DCA competitive season. KHS America has announced the promotion of Christopher Hankes to the position of School Music Business Unit Manager. In this newly created position, Chris will lead the U.S. marketing and product team for Jupiter winds, XO professional brass, Altus and Azumi flutes, Majestic percussion and Mapex marching drums. Jupiter Band Instruments will be exhibiting their flutes, including the new 509/510 Waveline model at the 2014 Suzuki Association of the Americas Bi-Annual Conference in Minneapolis, MN from May 22 - 26.